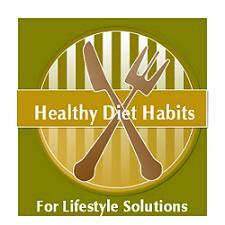 Many of us have a hard time identifying feelings, and developing healthy diet habits, to end emotional eating. A feeling is an emotion, and is not positive or negative. Our feelings, are preceded by our thoughts, but often we are not able to tell the difference between our thoughts and feelings. Emotional eating, is fueled by our feelings, which are fueled by our thoughts. Thoughts, can be harmful or helpful, but they affect our feelings either way. There are many feelings, and many of them cause us pain. Rather than working through our feelings and pain, we find it easier to bury our feelings, and not feel them. We find comfort through eating. We have all heard of the term comfort food. Food offers us comfort. Most of us find comfort in cookies, cakes, chips, and chocolate! The 4 C’s, but I think ice cream should also be added to the list! It’s a girl thing! Part of ending emotional eating, is learning to recognize our feelings, which are associated with emotional eating. We are all different. Emotions can cause us to emotionally eat, when we are not physically hungry. It is a complicated process, because many of us have physical cravings associated with poor food choices, happening at the same time. Strategies to end emotional eating, must involve changing our food choices too, to end these cravings. Next, we must develop a lifestyle solution, that ends emotional eating. We must first identify the emotion, then how it causes us to overeat, and then find a strategy that we could use instead of food. It is important to look for comfort in other places, rather than food. * Emotion, or Feeling: I am feeling mad. * How it causes me to overeat: It causes me to eat salty foods, that I can crunch. * Strategy instead of food: I could talk with the person that I am mad at, and solve my problem, rather than eat. This is an over-simplified explanation that many people write books about! One book on Emotional Eating, that I would recommend is “Shrink Yourself” Break free from emotional eating forever! (The therapist’s guide to losing weight) by Roger Gould, M.D. His book is divided into 8 learning sessions, and 8 practice sessions. I like it, because it is practical.